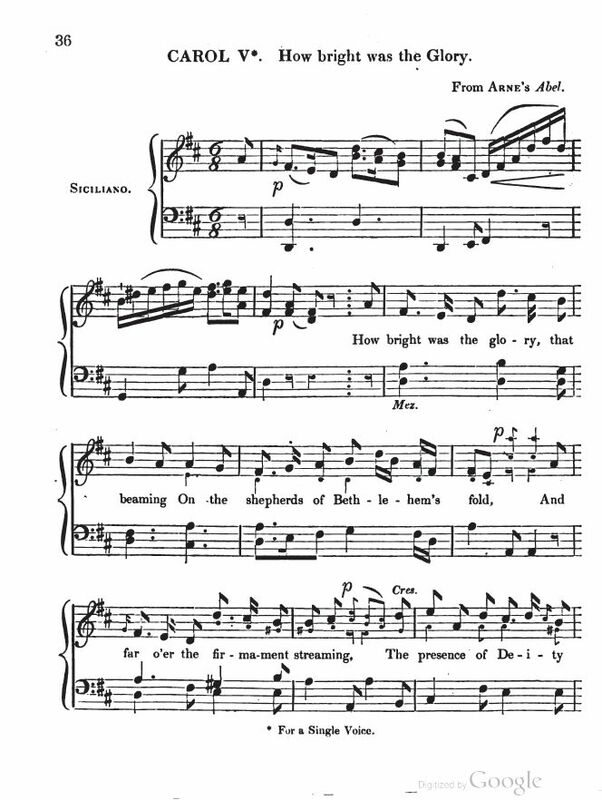 Source: Christmas Carols, or Sacred Songs, Suited to the Festival of our Lord's Nativity (London: John William Parker, 1833), pp. 34-38.
keeping watch over their flocks by night. and the glory of the Lord shone round about them. "—Luke ii. 8, 9. The presence of Deity told ! The form of an Angel of God. The message that flow'd from his tongue! You and all that inhabit the earth." To second the Angel appeared. Was heard from the mount and the cloud. To his judgment, the frailty of man. His message the gospel of love. The shepherds of Bethlehem's fold ! 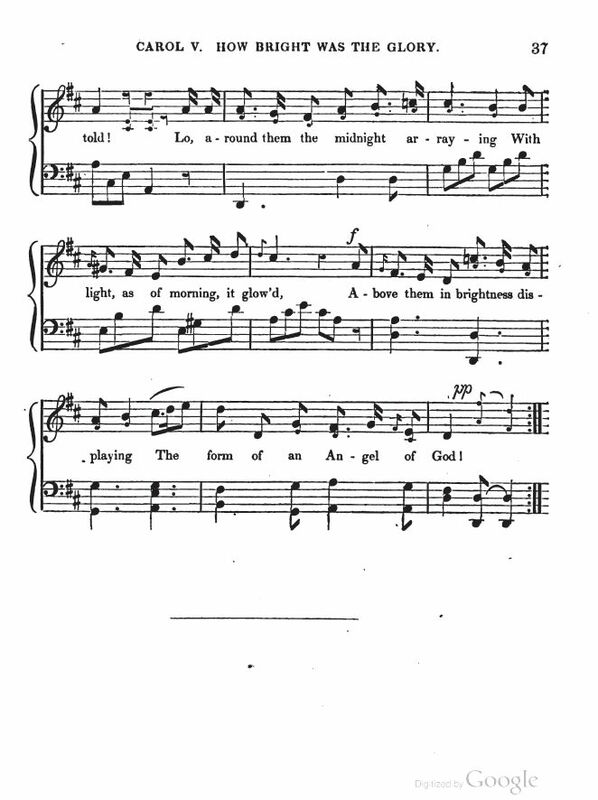 Sheet Music from Source: Christmas Carols, or Sacred Songs, Suited to the Festival of our Lord's Nativity (London: John William Parker, 1833), pp. 34-38.